Prime Minister David Cameron will delay acting on a controversial pledge to scrap the Human Rights Act in a bid to avoid confrontation with his own MPs and shore up support for an EU referendum. Cameron is to stall the introduction of a British Bill of Rights as he faces opposition from some of his backbenchers, outspoken members of the judiciary, Labour, the Scottish National Party (SNP), and the Liberal Democrats. Although the Tories pledged to scrap the Human Rights Act in their election manifesto, the promise was not mentioned in any detail in the Queen’s Speech, the PM’s first address to the new Parliament, on Wednesday. Senior government figures have said Cameron is still committed to the plan, but that it would go through a thorough consultation process and may not be introduced for a year or more. The PM was facing resistance within his party from several prominent MPs if he decided to pursue the bill in this session of Parliament. Cameron holds a majority of just 12 MPs, meaning a rebellion within his party could derail plans to introduce a British Bill of Rights. We’ve already got a “British Bill of Rights” – it’s called our Human Rights Act. Help us #SaveOurHRA. In what some see as a tactical retreat, the PM has opted to introduce the British Bill of Rights as a consultation rather than draft legislation so that he can focus on pushing through a bill for an EU referendum. Critics of the current Act say it has been abused by illegal immigrants to let them remain in the UK, as they can appeal to a higher court in Strasbourg to overrule British rulings. Those who support keeping the Human Rights Act say it protects the most vulnerable in society, such as women suffering domestic violence, making it safer to be openly gay and helping citizens to challenge injustices in British courts. Outside of Parliament, public opposition to scrapping the Human Rights Act has also been growing. Film star Benedict Cumberbatch has appeared in a campaign video for human rights group Liberty, where he tells the story of a woman named Janet whose brother was denied his most basic rights. Amnesty International has also condemned the Tory proposals, launching a Save the Human Rights Act campaign. The charity has purchased double-page adverts in the British press, featuring the signatures of more than 1,000 people. Environment Secretary Liz Truss told BBC 4’s Today program the government would still go ahead with the plan, even if it wasn’t in this Queen’s Speech. “It’s a clear manifesto commitment from the Conservative Party. We were very clear that we would replace the Human Rights Act, which isn’t working for British people, with a British Bill of Rights,” Truss said. She also insisted the new legislation would apply to the whole United Kingdom, including Scotland and Northern Ireland. A government official told the Financial Times the Ministry of Justice would not be “wedded to any timetable,” suggesting it may not be introduced until the second session of Parliament. “We will need to consult thoroughly on the proposals,” the official added, acknowledging the legal complexities of such a significant constitutional issue. “We are a United Kingdom … We do need to make sure we do this on a UK-wide basis, it’s important,” Truss said. Cameron will seek to gain support from the Council of Europe – the umbrella organization that the European Court of Human Rights sits within – for his proposed changes in the British Bill of Rights. Senior Tories have warned Cameron to withdraw the “deeply offensive” threat to withdraw from the European Convention on Human Rights in the event the Council does not approve of the changes made in the new bill. During Parliament’s first session on Wednesday, Labour MP Kevin Brennan asked the Prime Minister how many Tory MPs have told him they would refuse to back the repeal of the Human Rights Act. Cameron brushed off the question in the Commons, insisting the government will not drop its plans. Tory MP David Davis criticized the proposal to abandon the Human Rights Act shortly after the election. The former minister of state for Europe told his local newspaper, the Hull Daily Mail, “I’m afraid we will come into conflict with the European court and I don’t want us to leave it. 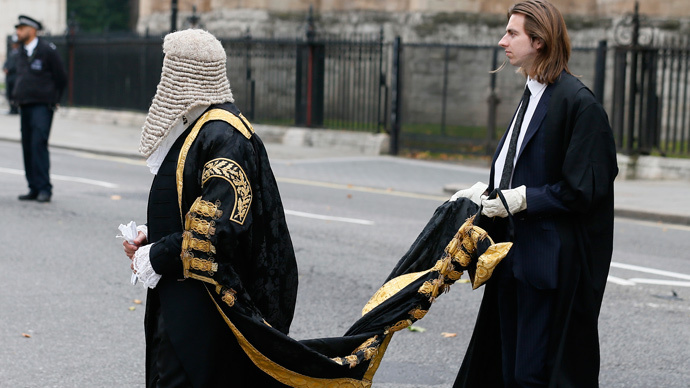 Former Justice Minister Ken Clarke and former Attorney General Dominic Grieve QC – both of whom sit as MPs in the Commons – have also opposed scrapping the Human Rights Act on the grounds it would undermine respect for the rule of law across Europe. Resistance is equally strong on the opposite side of the Commons. Outgoing Liberal Democrat leader Nick Clegg has slammed the Conservatives for their proposals. “The human rights we hold dear, our right to privacy in an online age, our future as an open-minded, outward-looking country, are all hanging in the balance again because of the measures being announced by the Conservative government,” Clegg said. Shadow Health Secretary and contender for the Labour Party leadership Andy Burnham also signaled his opposition to scrapping the Human Rights Act. He said he hoped Labour “throws the kitchen sink” at opposing the measures.